Culinary rock’n’roll from Simon Rogan’s protege, Adam Reid. Enjoy fine dining in Grade II listed Victorian surrounds – with a side order of Mancunian attitude. The soundtrack (which could include The Beatles and Oasis) is drawn from Reid’s personal playlist and sets a cool scene for pin-sharp creations. The tasting menu could include salt-aged duck with acidic cherry sauce, or soft raw scallops with buttermilk gel and flowers plucked from the roof-top garden. Upscale comfort food is another trend while desserts could include Reid’s blown-sugar clementine with white chocolate leaf and sea buckthorn sorbet. 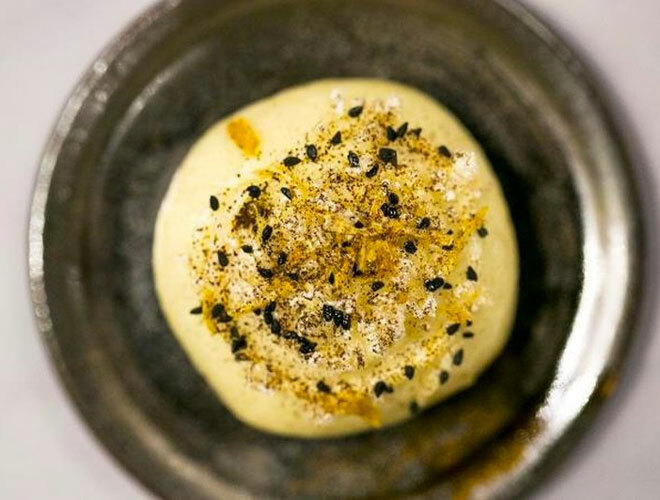 Reid won the Great British Menu dessert round with a similar creation, available to pre-order called ‘Golden Empire’. The winelist is brilliantly expansive and dining here feels like an occasion – no matter what time of day you visit. A draped-off lounge area with its own reception, creates the illusion of an independent restaurant rather than one shoe-horned into a bustling hotel. The best steakhouse in the North. 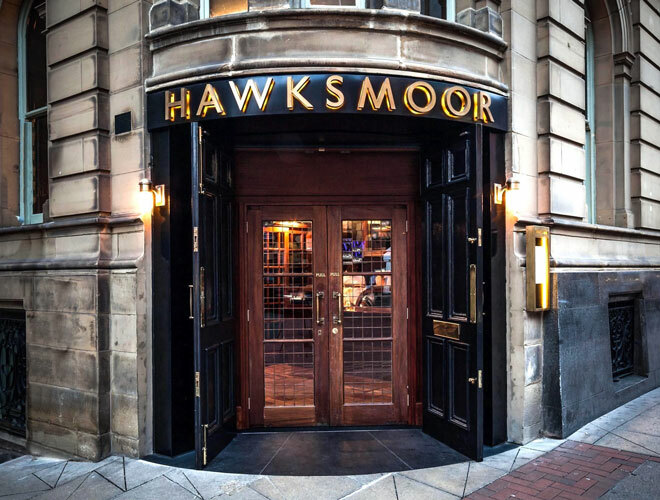 Opening on Deansgate in 2015, the first Hawksmoor steakhouse outside of London is a confident affair. Steak and attention to detail have created a branch like no other, whose beef is among the world’s finest. Sourced from Yorkshire’s Ginger Pig, choose from huge sharing cuts such as T-bone, Porterhouse and prime rib, with solo steaks available if you’re not into sharing. Starters such as Caesar salad with airy Doddington shavings, an artisan burrata made in Wiltshire or sticky, rare breed Old Spot belly ribs are meals in themselves,while seafood is strength. Ethically sourced scallops bath in white port and garlic butter, or try the UK-sourced monkfish, grilled over charcoal. Side orders such as triple-cooked chips, creamed spinach, anchovy hollandaise and bone marrow gravy are reason enough to visit, and the location is lovely. Nose-to-tail sushi from acclaimed experts in an off-the-beaten track location. This sushi restaurant with simple décor comes up trumps in the food department with a menu that changes according to availability and daily specials. 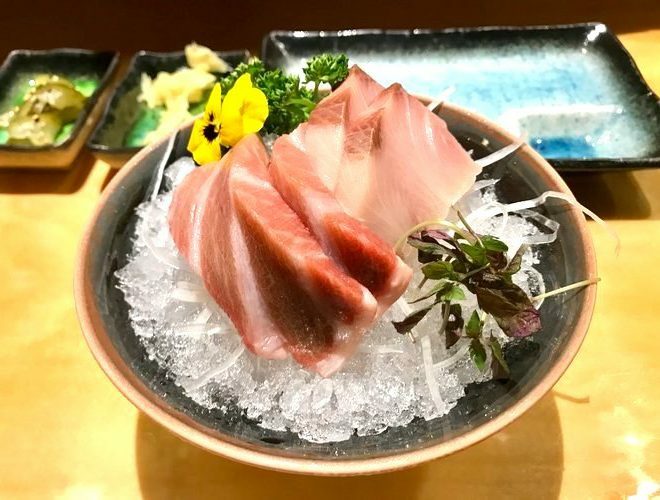 Widely regarded as one of the finest Japanese restaurants in the UK, highlights could include Hamachi (Japanese Amberjack) and toro sashimi (buttery tuna belly) or fresh water eel nigiri. Special mention also goes to the wagyu nigiri. Veggie Bollywood blockbuster serving small plates and the best in beer. 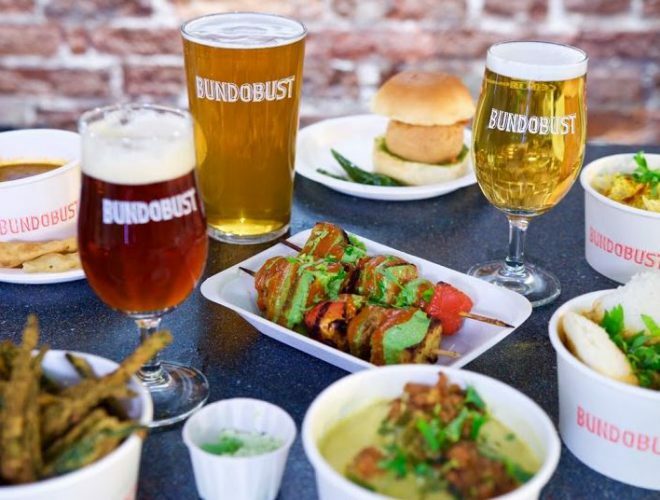 Bundobust is a huge beer hall serving tens of craft beers from a massive bar in the heart of Manchester’s Piccadilly Gardens. It also happened to win Restaurant of the Year at the 2017 Manchester Food and Drink Festival awards.